Do you even do ab exercises? 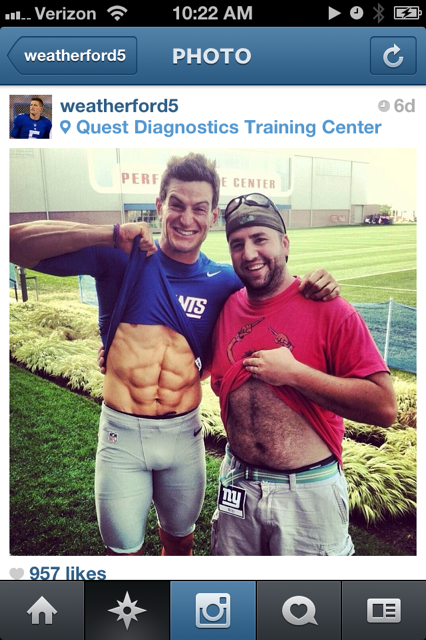 Because Steve Weatherford does! The New York Giants punter putting on a six-pack clinic here! P.S. Guy next to him needs to shave his chest!